Traditional hand craft, in a modern, scandinavian design package. This is our beautiful spin on the Santoku knife. 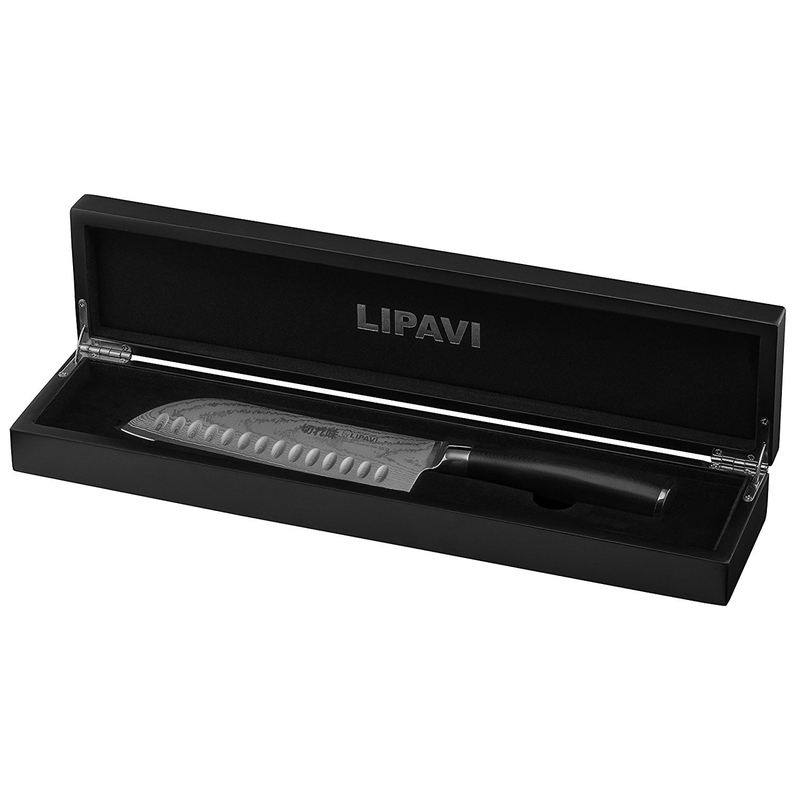 Razor sharp – Sharpened to a 13 degree blade angle. 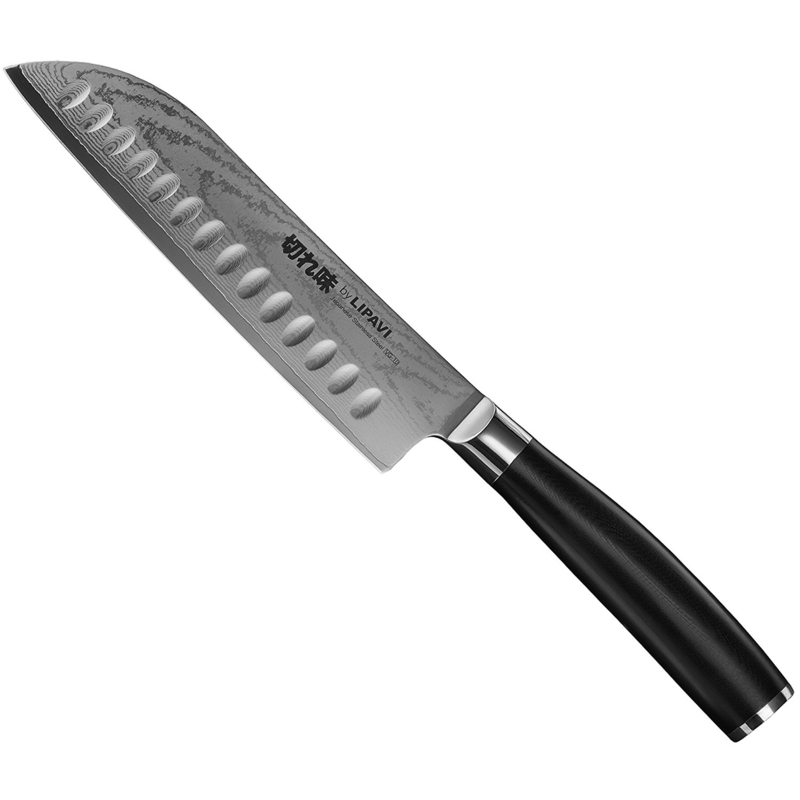 Incredibly durable – Owing to the hard VG10 Damascus Steel Core and Military Grade G10 fiberglass handle. Now it’s time to decide. Are you an individual of virtue?